Ever Wonder What the Difference Between a Sociopath and Psychopath? I think most people are confused when they hear these terms. When I started into the mental health profession I learned these are the SAME condition. Only here in the USA we describe both as the anti-social personality. A sociologists sees the causes of this type of personality, are due to social factors and prefer the term sociopath. The term psychopathy may be preferred by psychologists who see the causes as due to a combination of psychological, genetic, and environmental factors. Both require the person as having a personality disorder. Most commonly Anti-Social Personality Disorder, described in the DSM-IV-TR, here in the United States. In 1891 Julius Ludwig August Koch formally introduced the concept of “psychopathic inferiority” (psychopathischen minderwertigkeiten). This also referred to diverse kinds of dysfunction or strange conduct in the absence of obvious mental illness or retardation. Habitual criminality was only a small part of his concept, but the public soon used the shortened version “inferiors” to refer to anyone supposedly suffering from an inherent disposition toward crime. The Mask of Sanity by Hervey M. Cleckley, M.D., first published in 1941, is considered a seminal work which provided a vivid series of case studies of individuals described as psychopaths. Cleckley proposed 16 characteristics of psychopathy, derived mainly from his work with male psychiatric patients in a locked institution. The title refers to the “mask” of normal functioning that Cleckley thought concealed the disorganization, amorality and disorder of the psychopathic personality. This marked the start in America of the current clinical and popularise conception of psychopathy as a particular type of antisocial, emotionless and criminal character. Cleckley would produce five editions of the book over subsequent decades, including a substantial revision in 1950, expanding his case studies and theories to more non-prisoners and non-criminals. Cleckley’s concept of psychopathy, particularly in the sense of a conscience-less man beneath a mask of normality, caught the public imagination. 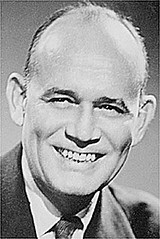 However, the book fell out of favor, and when he died in 1984 Cleckley was better remembered for a vivid case study of a female patient published in 1956, turned into a movie The Three Faces of Eve in 1957, which had (re) popularized in America another controversial diagnosis, Multiple Personality Disorder. The first version of the American Psychiatric Association‘s Diagnostic and Statistical Manual of Mental Disorders in 1952 did not use the term psychopath, but instead “sociopathic personality disturbance”, although it included many of Cleckley’s criteria. The diagnosis had antisocial or dissocial subtypes, though the latter was deleted in the DSM-II. The diagnosis was only one within a broader category that would be termed personality disorders. A distinction was proposed by psychoanalyst Benjamin Karpman from the 1940s between psychopathy due to psychological problems (e.g. 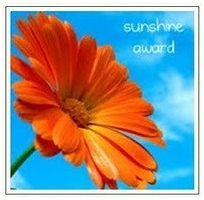 psychotic, hysterical or neurotic conditions) and idiopathic psychopathy where there was no obvious psychological cause. He concluded that the former could not be attributed to a psychopathic personality. Meanwhile, criminologist sociologists William and Joan McCord were influential in narrowing the definition of psychopathy to an antisocial lack of the guilt emotion and reactive aggression. On the other hand, various analysts purported to identify “successful” psychopaths in society, some even suggesting it was but an adoption to the social or economic mores of the age, others noting they could be hard to spot either because they were so good at hiding their lack of conscience, or because many people showed the traits to some degree. However, there remained NO international clinical agreement on the diagnosis of psychopathy. A 1977 study found little relationship with the characteristics commonly attributed to psychopaths and concluded that the concept was being used too widely and loosely. Robert D. Hare published a book in 1970 summarizing research on psychopathy, and was subsequently at the forefront of psychopathy research. Frustrated by a lack of agreed definitions or rating systems for psychopathy, including at a ten-day international North Atlantic Treaty Organization conference in 1975, Hare began developing his Psychopathy Checklist. Produced in 1980, it was based partly on the list of traits advanced by Cleckley and partly on the theories of other authors and on his own experiences with clients in prisons. Meanwhile, also in the wake of the NATO conference, a DSM-III task force instead developed the diagnosis of antisocial personality disorder, published in the DSM in 1980.This was based on some of the criteria put forward by Cleckley but operationalized in behavioral rather than personality terms, more specifically related to conduct. 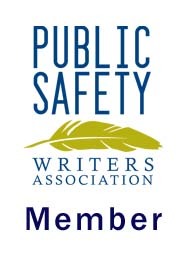 APA was most concerned to demonstrate inter-rater reliability rather than necessarily validity. Hare revised his checklist PCL-R (Psychopathy Checklist-Revised ) as a draft in 1985 (removing two items) and then finalized it as the first edition in 1991. Meanwhile, following some criticism over the lack of psychological criteria in the DSM, further studies were conducted leading up the DSM-IV in 1994 and some personality criteria were included as “associated features” which were outlined in the text. The ICD (The International Statistical Classification of Diseases) produced by World Health Organization’s, incorporated a similar diagnosis of Dissocial Personality Disorder. Both state that psychopathy (or sociopathy) may be considered synonyms of their diagnosis. 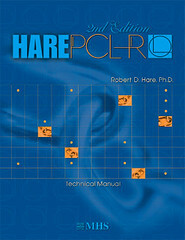 Hare updated the PCL-R with extra data in a 2nd edition in 2003. He has also written two bestsellers on psychopathy, “Without Conscience” in 1993 and “Snakes in Suits” in 2006. Despite being unused as the main term in diagnostic manuals, the term ‘psychopath’ is still used by some mental health professionals and by the general public, popular press and in fictional portrayals. Next time we will the difference in the United States DSM-IV-TR and ICD more commonly used in Europe. Resources used: Wikipedia, DSM-IV-TR, Clinical Assessment and Diagnosis in Social Work Practice, by Jacqueline Corcoran and Joseph Walsh pages 470-473, and http://www.cassiopaea.com/cassiopaea/cleckley-mos.htm.